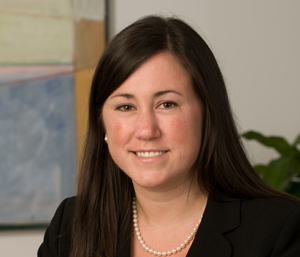 Alexis Peters is a shareholder and chair of the Firm’s Commercial Real Estate Transaction Group. Alexis focuses her practice on commercial real estate transactions, including acquisitions, dispositions, development and the financing of all types of commercial real estate. Commercial real estate companies like working with Alexis because she treats every client deal as though it is her own. As a result, they trust her and know that she will do great work. Clients also appreciate the fact that she keeps them informed as to what is going on in the market, providing meaningful market intelligence as well as introduction to new relationships. As one of the more active transactional attorneys in the Metropolitan area, Alexis’ clients feel comfortable that she has negotiated and closed so many real estate transactions. Alexis has successfully structured, negotiated, documented and closed transactions involving shopping centers, office and industrial buildings, hotels, multi-family housing (rental and condominium), health care facilities and other retail and mixed-use projects. Her clients include real estate developers, investors, lenders, hotel owners and home builders. She also represents landlords and tenants in retail, industrial, ground and office lease transactions. Acquisition and Two-Tiered Financing of 1625 K Street, N.W., Washington, D.C.